assist you with back pain, headache relief, and neck pain. High Cholesterol, Thyroid dysfunction along with all other areas of illness. Our Chiropractic specialists can help heal you from your back pain, headaches, and neck pain. We offer the latest in Spinal Decrompression methods for our patients. 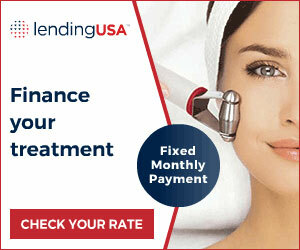 Cosmetic therapy and products including Botox and Juvederm. for facial skin and eye lashes. great promise for new medical treatments. In addition to general practice, family practice and pain management, we also do Sports Physicals and DOT physicals, Overactive Bladder Syndrome. We have x-ray and lab capabilities here in the office and can treat urgent care illnesses too. We’ve utilized a completely NEW TREATMENT for Neuropathy that may take away most, if not all, of your pain. Given proper nutrition, the body has an ability to heal itself. To do so, we need to eat a healthier diet, exercise, and take high-quality supplements made from whole foods. See what many of our patients have said about our work. I can't begin to say how good everyone there treats you, the staff are wonderful. I feel truly blessed to have found these wonderful people. The staff the nurses and Doctors are truly a blessing from God. I also want to say when I go there and I feel bad and in a lot of pain just seeing them and being there makes me feel better THANKS. These people are nice they make you feel like family and they are caring. Need some work done? Contact us today to schedule an appointment!